25 November 2014 | Justice for Iran (JFI) is presenting submissions focused on the Comprehensive Population and Family Excellence Plan (bill) under consideration by the Islamic Republic parliament, to two divisions of the International Labour Organisation (ILO); Gender, Equality and Diversity Branch and to the Director of the International Labour Standards Department of the ILO, Ms. Cleopatra Doumbia-Henry. JFI calls on officials and organs of ILO to examine details of how the bill legitimises direct and indirect discrimination against women in the labour market. According to JFI findings reflected in the submissions the proposed bill greatly limit women’s access to enjoy the right to work. JFI argues the bill places the freedom, choice and rights of millions of women at the mercy of national leadership as the elements of the bill progressively limit women’s access to the labour market over the long term. In its submission JFI highlights how the bill violates ILO Conventions 100, 111 and 122 by pointing out specific articles and sections of the bill and their contradiction to those in the three ILO Conventions. Furthermore, JFI expresses its deep concerns regarding the covert manner in which the bill violates Iran’s international commitments and coerce women to leave the labour market. 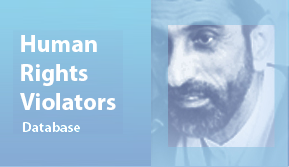 In conclusion JFI calls on both divisions to bring its concerns to the attention of the officials of the Islamic Republic of Iran in order to withdraw the bill in its entirety, ensure women and men enjoy free and equal access to employment, review and remedy all national laws that impart a discriminatory impact on women, ensure national employment schemes avoid stereotypical norms of masculinity and femininity, and abolish gender-based quota in accessing higher education and employment. JFI goes on to provide details of how married couples are enticed with what appear to be welfare benefits to encourage women to remain at home and focus on childbearing as their primary occupation in service to the national goal to double Iran’s population. This follows the May 2012 resolution 8423/91 adopted by the Supreme Council of the Cultural Revolution, entitled “National strategies and actions to reverse the fall in fertility rate in accordance to Islamic teachings and national strategic requirements.” The resolution explicitly recommended women’s “employment opportunities be diversified and adjusted in accordance with their primary responsibilities in the family”. Women’s participation in the labour force is significantly lower than men and the bill would only lead to a further decline. According to statistics on women’s participation from the Presidential Deputy for Women and Family Affairs published in 2014, the rate of women in the labour force was only 11.3 percent in 2013 while the same rate for men was 62.1 percent. In addition, according to the United Nations Statistics Division, the labour force participation of the country’s adult female population has dropped to 16.4 in 2011 from 19.4 in 2005. The submissions will bring about dissemination of knowledge about the bill and its consequences. The Gender, Equality and Diversity Branch, which manages an extensive knowledge base on gender issues and address questions of equality in their work, will as a result of the submission spread awareness of the bill internally within its branch to support the staff’s promotion and advocacy for gender equality in Iran. 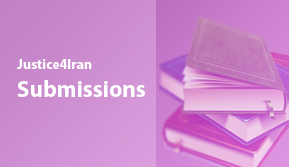 Furthermore, the submission to the director of the International Labour Standards Department can have a vital outcome, as JFI have kindly requested an informal opinion on the issue of the bill and its compatibility with the ratified ILO conventions by Iran. 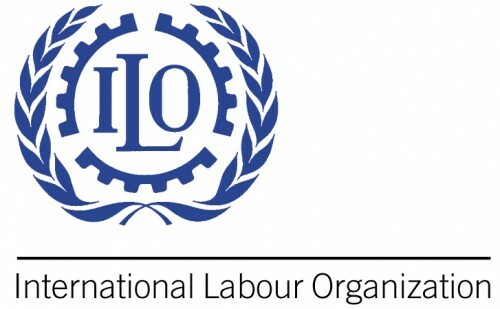 This memorandum will be transmitted to the government of the Islamic Republic of Iran illustrating the understanding of the position of the department of International Labour Standards of ILO and hereby it might influence the second reading in Parliament, so the bill will not be adopted. http://www.farsnews.com/newstext.php?nn=13930201000719 (available in Farsi only) – Retrieved 1 July 2014.